Since 1997, Seattle-based Vision Motor Sports has been designing, engineering and marketing advanced lighting systems for worldwide sale for consumer and industrial applications. 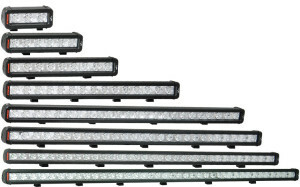 This Vision X LED light bar review focuses on their LED light bar line exclusively. 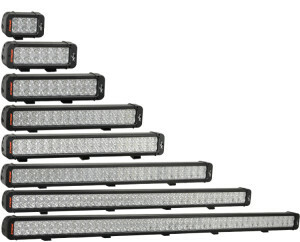 All seven of Vision X’s LED light bars come with Prime Drive technology and integrated PWM dimming circuitry. Not all beam patterns are available for every product. 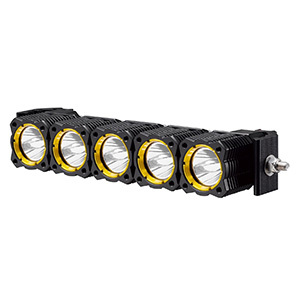 The Xmitter Prime Xtreme Single Stack light bars are high-profile, double-row LED bars that come in eight sizes and use 5W LEDs capable of 528 raw lumens each. XPI stands for Xmitter Prime Iris. The XPI line specializes in long-distance darkness penetration with a single row of 5W LEDs using IRIS reflector technology. It comes in 7 lengths. 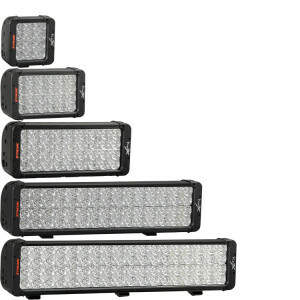 These light bars are compact versions of the Xmitter Prime Xtreme Single Stack bars. 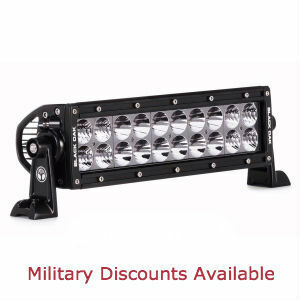 They are an excellent light bar for tight mounting positions such as in a front grill. 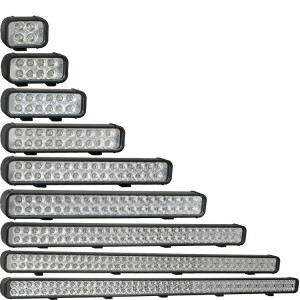 This is a single-row LED light bar available in 3 lengths and two beam patterns. It comes with a single-piece swivel mount for flat or collinear surfaces. 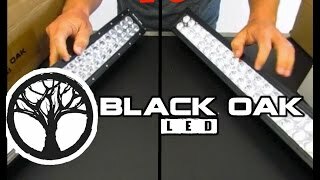 This double-row LED light bar is the one that earned Vision X their early reputation for dependability when they were chosen by NASA and the U.S. Border Patrol. The LEDs come in five colors: infrared, amber, red, blue or green. 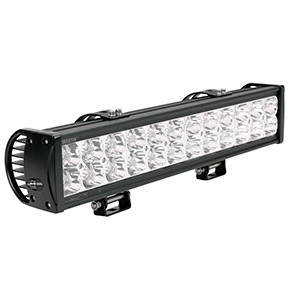 The EVO Prime uses 10W LEDs that output 1,079 raw lumens each, making it an extremely bright single-row light bar. 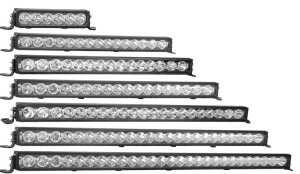 The double stack version of the Prime Xtreme is a quad-row light bar in five lengths. 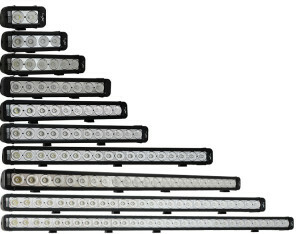 The longest light bar outputs 38,000 raw lumens. It is the best and brightest model for short spaces. 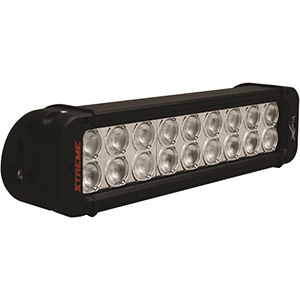 These two Vision X flood beam options provide wide area illumination for work or camp sites. The elliptical beam has a wide core spread with a shorter height. It is excellent for driving when there is oncoming traffic. The 40° beam presents a circular beam pattern for multi-purpose illumination. 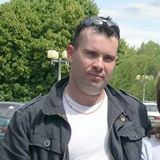 Its forward penetration is intermediate to the flood beams and spot beams. Their 10 and 20 degrees beams are made to penetrate the furthest reaches of the gloom ahead. Read any Vision X LED Light Bar Review and you never find complaints for lack of brightness and rarely for having a beam that feathers too much at the edges. Since Vision X only takes the cream of the crop from any LED maker, this is not surprising. Their reflector technology is top drawer also, so those prime-choice LEDs get all their light out front where you need it. One characteristic of Vision X light bars that does not jump out of the specs is their light weight relative to competing products of equivalent light output. This is a big advantage for roof mount applications, which has not gone unnoticed by some buyers. The only gripe that comes up now and then is that Vision X does not make a combo beam. There may be equals, but no other automotive LED light bar manufacturer exceeds the power and quality of a Vision X LED light bar. 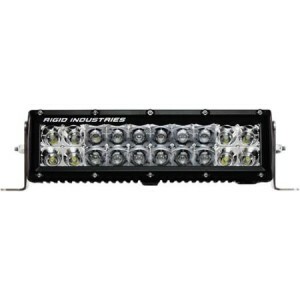 Their PWM technology shows off just how innovative they are when it comes to engineering the best LED light bars in the industry. These are not inexpensive products, but they are top quality.